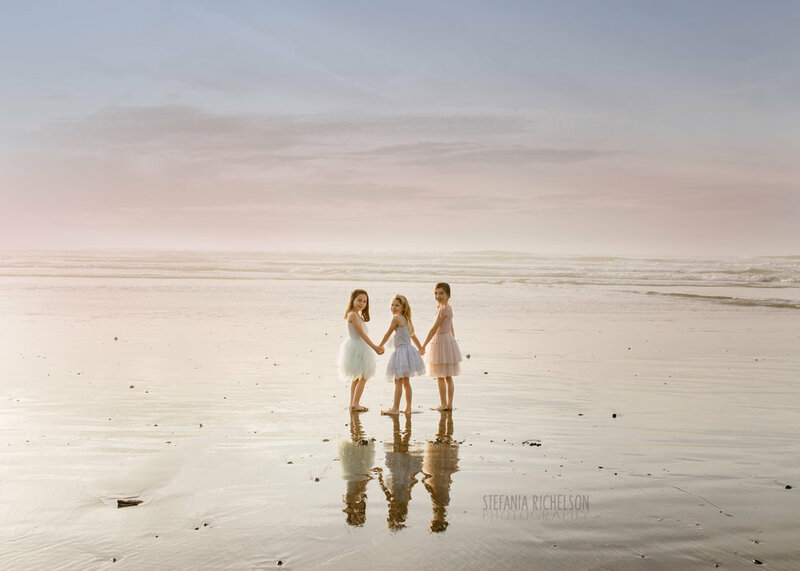 Northern California isn't known for its warm weather, but that didn't stop us from heading out to Seaside Beach to play in the sand in the middle of winter. 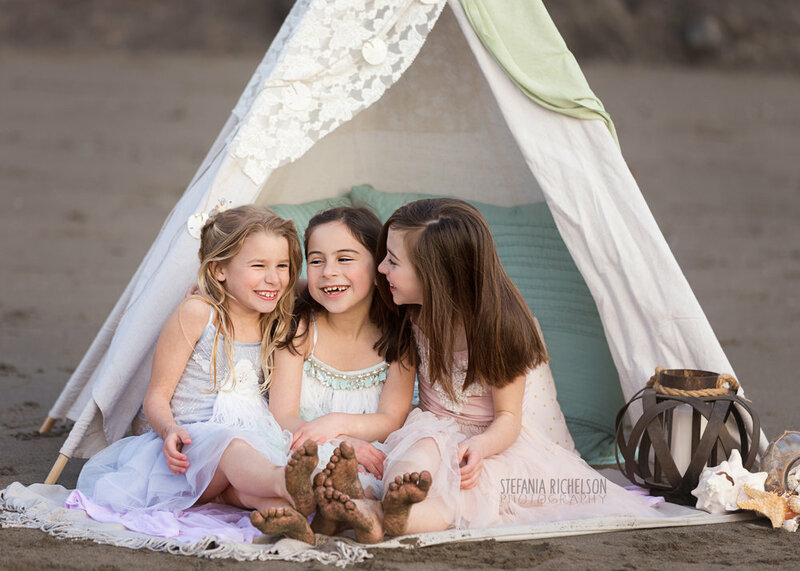 These friends were such a pleasure to photograph! 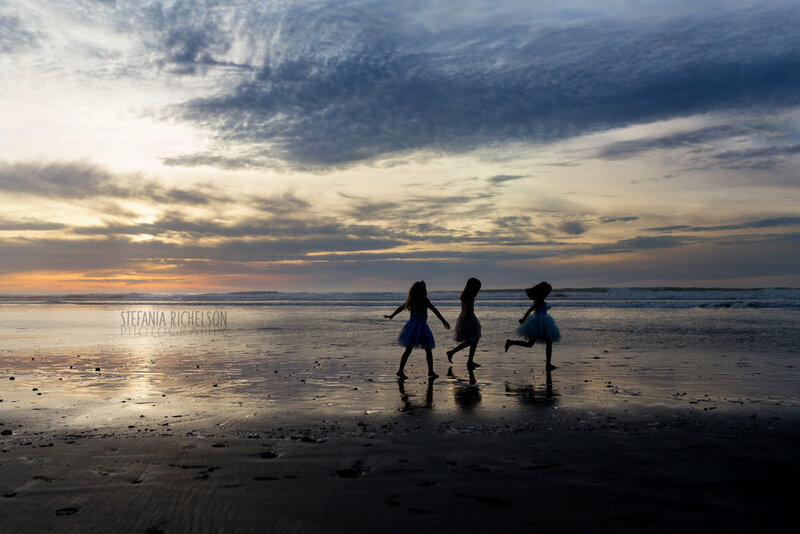 They were so busy spinning in their beautiful TuTuDuMonde dresses, looking for shells, cartwheeling, giggling together, and running from the incoming waves to even care about the cold. Such fun memories were made that evening at the beach!